Living Off the Grid: A Matter of Choice or Chance? Going off the grid with solar power is becoming more and more reasonable with each passing day. 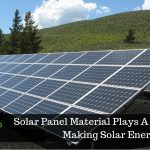 With several options available to update the solar and battery storage, the desire to disconnect oneself entirely from the utility grid is gaining acceptance amongst the masses. On-grid and off-grid solar power systems are the two major options of procurement for solar energy solutions. Choosing any one depends on a lot of factors—environment, asset, requirement, etc. Off-grid solar systems are stand-alone. Not only do they offer you the freedom of power generation, they also increase the value of your property along with reducing your carbon footprint. You will no longer be dependent on the utility grid, that means power outages would not affect you, neither would expensive and continuously surging electricity bills. In a country like India, where power outages in the rural sector have plagued millions of people, going off-grid is a matter of chance since willingly or unwillingly being grid-tied is not feasible. Traditional power poles require a huge investment. And so, being off-grid frees you from the concern of having proximity to the power company to serve your power demands. Energy consciousness is what makes many people choose off-grid solar systems. When they choose to install solar panels on their property, their motivation is to be independent of the power company. 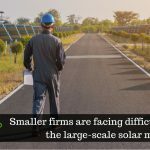 They can know exactly how much power they require, eliminating the inefficiencies of distribution and feeling responsible by reducing the carbon footprint of the utility company and their own, in their march towards a sustainable environment. Going off-grid has tremendous benefits, nevertheless, there are certain questions you must ask yourself before taking a call. 1. What must be the size of my off-grid solar system? It completely depends on your requirements and usage. The simplest way to determine this is to have a look at your electricity bills over a period. From that, you can easily determine your approximate daily usage and requirements. Based on this value you must choose a system that can generate the calculated power. 2. What kind of batteries would I require? For living off the grid completely, you must choose batteries that can store large amounts of energy over a long period of time. Needless to say, the batteries must be of ace quality and ideal for long-term or short-term setups as required. 3. How much free space must be required in my premises? The 2 options, in this case, are rooftop and ground-mounted. One can even combine both these options. Whatever be the case, always make sure the PV panels face the right direction for maximum sunlight exposure, without any kind of obstructions. 4. Are there any restrictions on running appliances? In India, there are almost 300 days in a year that receive bountiful of sunlight. This ensures large amounts of energy generated by the panels. But at the same time, these number of days are going to be hot and humid necessitating the use of air coolers and air conditioners. All that can be done is either make use of these appliances with discretion or invest in a highly efficient solar system. The best approach is to amalgamate the two. 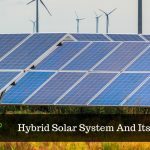 The factors discussed in the preceding sections would ensure the success of your off-grid solar system. One point that can be added to this is always to make sure to procure professional services for your solar installations. This will ensure successful living with your off-grid system irrespective of the matter of chance or choice.